In 2010, I was a delegate at the Lausanne Conference in Capetown, South Africa. That gathering of mission-minded Christians from around the world reflects the growing realization that the Great Commission requires global cooperation with other believers. Globalization promises to revolutionize the human condition in a permanent and fundamental way as the invention of the wheel, printing press or automobile. Globalization is here to stay, and as Christians, we better come to terms with it. 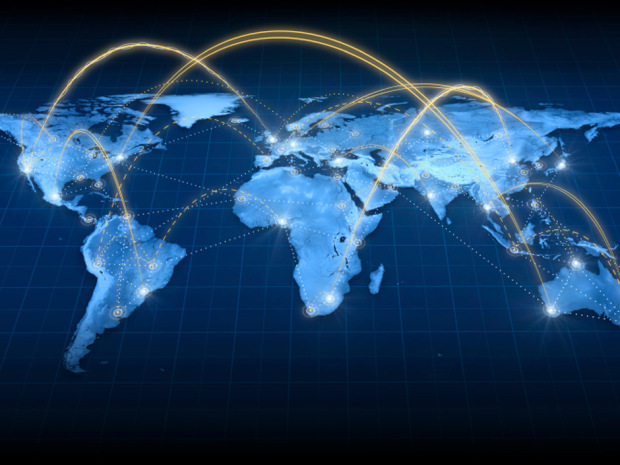 This process of globalization is driven by revolutionary developments of information technology. Through IT, we can create, multiply, expand, intensify and accelerate more human activities with more people than ever before. This growing phenomenon has implications for all of us, and especially for the spread of the gospel to the remaining peoples of the world who do not yet have the Good News. The big question: Are we really ready for the challenges that globalization brings? From my own observation, I think I am safe in saying that we are not ready, on a lot of levels. But I am also safe in saying that globalization has not caught God by surprise. He knew it was coming, even 2,000 years ago, when He gave His Great Commission to His disciples. He knew about globalization long before anyone thought about it. From the beginning, Jesus knew that He was giving His disciples a task way too big for any of them to handle. They were simple men in a world too complex and big for them. They weren’t ready. They were unqualified for the job He assigned to them. And yet look what God has done through those twelve unqualified men and those who came after them! How did these unqualified men do so well? Perhaps most importantly, they realized how unqualified they really were. That simple strategy of the disciples must become our own. We must recognize our inadequacy for the task. We must recognize our slowness of heart, lack of faith, our tendency to let the standards of the world influence us. We must come to terms with the sins that so easily beset us. Indeed, the church is in dire need of a spiritual renewal such as never before. Only with a new outpouring of the Holy Spirit will we make the challenges and opportunities of globalization count for Christ so that the gospel is preached to all peoples and touches people in every facet of their lives. Are you waiting on God for the outpouring of the Holy Spirit, for yourself and for your church and nation?